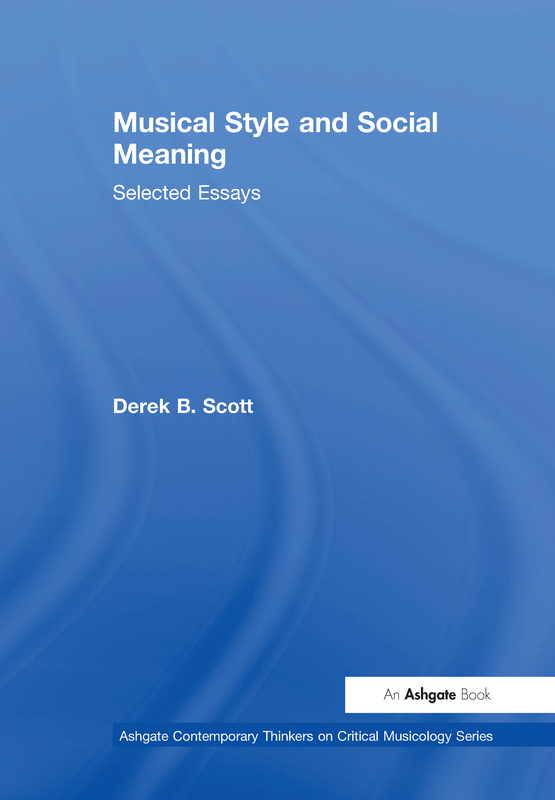 Contents: Introduction; Part 1 Music Criticism and Theory: Postmodernism and music: postscript; Modernism, postmodernism and musical consensus; Bruckner's symphonies - a reinterpretation; Mimesis, gesture, and parody in musical word-setting. Part 2 Jazz and Popular Music: The Jazz Age in Britain; Light music and easy listening; The Britpop sound; The challenges of assessing popular music performance in higher education. Part 3 Orientalism, National Identity, and Ideology: Orientalism and musical style; Edward Said and the interplay of music, history, and ideology; Imagining the nation, imagining Europe. Part 4 Politics, Class and Englishness: Music and social class in Victorian London; English national identity and the comic operas of Gilbert and Sullivan; The power of music; Imperialism and anti-imperialism in 19th-century popular song; Sullivan's demonic tea-making scene: homage to Weber or parody? Part 5 Ethnicity and Race: The impact of Black performance on the 19th-century stage; A problem of race in directing Die ZauberflÃ¶te; In search of genetically modified music: race and musical style in the 19th century; Index. The titles in this series bring together a selection of previously published and some unpublished essays by leading authorities in the field of critical musicology. The essays are chosen from a wide range of publications and so make key works available in a more accessible form. The authors have all made a selection of their own work in one volume with an introduction which discusses the essays chosen and puts them into context. A full bibliography points the reader to other publications which might not be included in the volume for reasons of space. The previously published essays are published using the facsimile method of reproduction to retain their original pagination, so that students and scholars can easily reference the essays in their original form.